Free Dining or Room Only Discount for fall! Which will you choose? With so much to see at Walt Disney World Resort in the fall how could you not want to book a trip? Everyone’s favorite discount is back for the fall, FREE DINING! It is the perfect time of year to visit the Walt Disney World Resort! You can enjoy special seasonal events, such as Mickey’s Not-So-Scary Halloween Party**, Epcot® International Food & Wine Festival, Mickey’s Very Merry Christmas Party**, Holidays Around the World at Epcot and so much more! 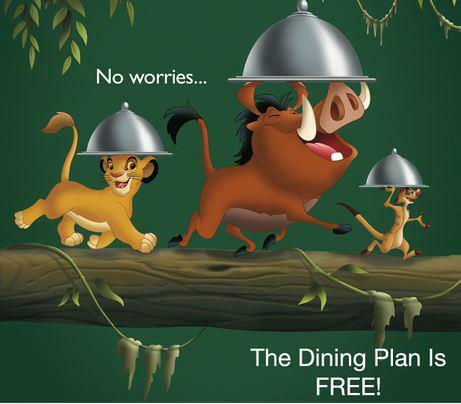 Now through Sept. 15, 2013, get a FREE Disney Dining Plan when you purchase a non-discounted 6-night, 7-day Walt Disney Travel Company room and ticket package at select Disney Moderate, Disney Deluxe or Disney Deluxe Villa Resort hotels at the Walt Disney World® Resort. Or, purchase a 6-night, 7-day Walt Disney Travel Company room and ticket package at a Disney Value Resort and receive a Free Quick Service Dining Plan. Offer valid for arrivals most nights Sept. 29 – Oct. 2, Oct. 18 – Nov. 2, Nov. 11-23 and Dec. 12-22, 2013. *The number of rooms allocated for this offer is limited. Tickets valid for one Theme Park per day and must be used within 14 days of first use. No group rates or other discounts apply. Excludes Disney’s All Star Movies Resort, Disney’s Art of Animation Resort, Disney’s Port Orleans Resort – French Quarter, The Villas at Disney’s Grand Floridian Resort and Spa, 3-Bedroom Villas and campsites. Advance reservations required. Excludes gratuities and alcoholic beverages. Children ages 3-9 must order from children’s menu if available. Some Table-Service restaurants may have limited or no availability at time of package purchase. As if Free Dining wasn’t an awesome enough offer for the fall there is a ROOM ONLY Discount as well. *The number of rooms allocated for this offer is limited. Length-of-stay requirements may apply. Savings based on the non-discounted price for the same room. 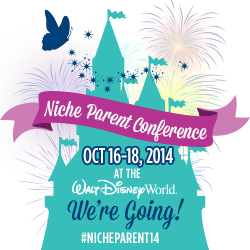 Additional per-adult charges may apply if more than two adults per room at Disney Value, Moderate and Deluxe Resorts. No group rates or other discounts apply. Advance reservations required. Offer excludes campsites, 3-Bedroom Villas and is not valid at Disney’s Art of Animation Resort – The Little Mermaid Standard Rooms or The Villas at Disney’s Grand Floridian Resort and Spa. 30% savings for select Disney Deluxe and Deluxe Villa Resorts; lower savings for other Resorts. Jennifer is an agent with Destinations in Florida Travel-Authorized Disney Vacation Planner. Contact her today for a FREE quote and make your Disney Dreams come true this year. Email her at jenniferg@destinationsinflorida.com today for your quote.